Ernest J. Baptiste has been named Chief Executive Officer (CEO) of Stony Brook University Hospital and joined Stony Brook Medicine on Nov. 27. Baptiste comes to Stony Brook from NYC Health + Hospitals/Kings County, where he had served as CEO since August 2012. With more than 30 years of hospital administration, Baptiste’s career has been marked by progressive leadership in executive level management and hospital operations. “Mr. 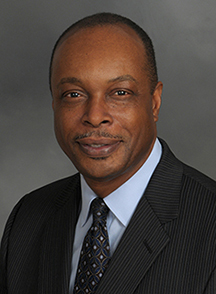 Baptiste has worked successfully with physicians, administrators and department heads to improve departmental operations, achieve organizational goals and ensure the delivery of high-quality, safe, efficient and cost-effective care,” said Samuel L. Stanley Jr., MD, Stony Brook University President. As CEO of NYC Health + Hospitals/Kings County, Baptiste was responsible for the 627-bed facility in Brooklyn that serves as the main academic clinical campus for SUNY Downstate Medical Center. Prior to his tenure at Kings County Hospital, Baptiste worked at Catholic Health East, a multi-institutional health system covering 11 Eastern states from Maine to Florida. At Catholic Health East, he served as Executive Vice President and Chief Operating Officer of St. Francis Hospital in Wilmington, Delaware. Baptiste previously worked at Duke University Health System, where he was Chief Operating Officer at Durham Regional Hospital. He also held the positions of Executive Director and Vice President at St. Mary’s Hospital in Brooklyn, as well as Vice President of Operations at North General Hospital in Manhattan. “Mr. Baptiste is a successful recruiter of outstanding talent and motivates all with whom he works to operate at or under budget and above standards,” said Kenneth Kaushansky, MD, Senior Vice President, Health Sciences, and Dean, Stony Brook University School of Medicine. Baptiste embraces the notion of system collaboration, to achieve both hospital and system goals, and he works collaboratively with senior leaders and staff to create a culture that encourages high quality, safety and patient satisfaction in all care and service areas. Before beginning his career in healthcare, Baptiste served in the U.S. Army and received Army Achievement and Good Conduct Medals upon his honorable discharge. He has received numerous awards, including the Caribbean Images TV-Dr. Martin L. King Award for Excellence in Healthcare and Community Service. Baptiste received his Bachelor of Science in health care administration from St. John’s University, a Master of Public Administration in health care administration from C.W. Post College and a Master of Science in health financial management from New York University.